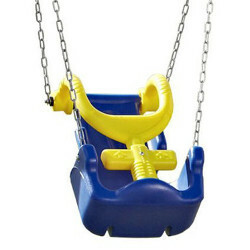 There is nothing more exciting for a child than swinging high on a playground swing. That is why it is important to offer this opportunity to all children, regardless of age or cognitive ability. To meet with ADA compliance measures, more planners and recreational space designers are incorporating elements that allow children with disabilities to have the same options as other children when it comes to recreational experience at the playground. 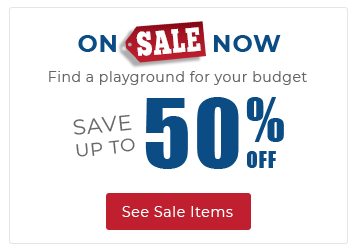 The 2-5 Made-For-Me Swing Seat is designed for use with toddlers and young children from age two years to five years and up to 43 pounds maximum weight. The harness is engineered to not only secure the child within the swing but also to sustain a healthy upright position within the seat, and central body core. 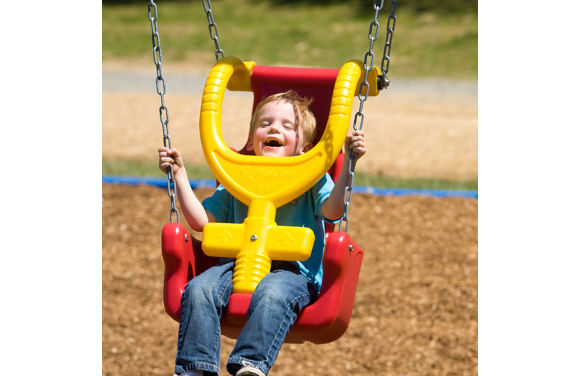 Children with special needs feel confident to enjoy the exhilaration of the swing within the supportive seat structure, and the freedom to swing at greater heights safely. The 2-5 Made-For-Me Swing Seat levels the playing field for children with disabilities on the swing and the special seat and structured harness can be easily incorporated onto a standard swing set to allow children to use the swing side-by-side with other friends, family or big kids. Did you know that the physical motion of swinging provides a number of health and developmental benefits for children with disabilities? Occupational therapists frequently employ swinging into structured therapy as it acts as a resistance exercise, strengthening the core and improving torso and hip strength. That improvement can have a positive impact on flexibility and overall mobility. The Vestibular System within the human body is responsible for balance and vertigo. Repetitive swinging assists children to develop a better sense of gravity and direction, as processed by the sensation of balance through the inner ear. Children who engage in recreational or therapeutic swinging exercises also hone Proprioception which is the ability to send and receive messages to extremities using nerves and muscle messaging. Over time it can assist with coordination and mobility.